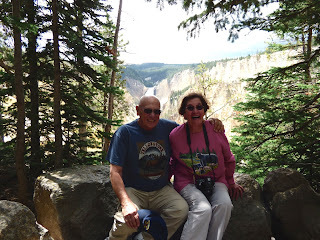 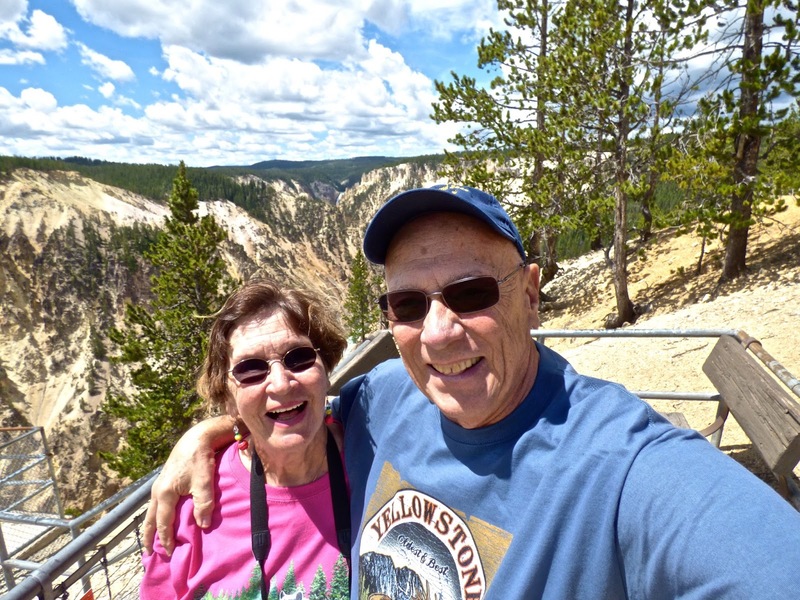 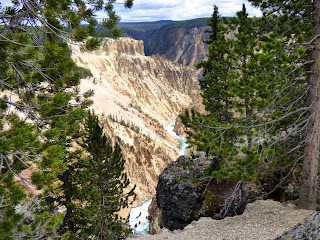 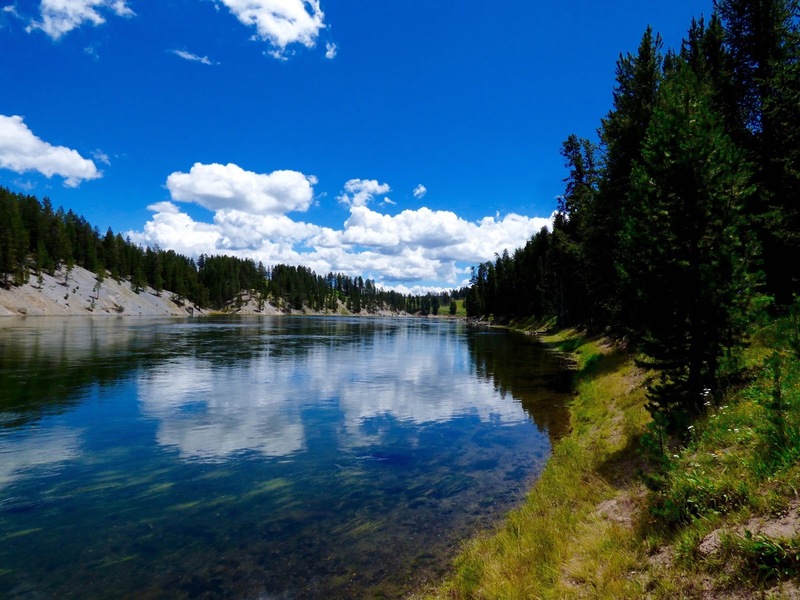 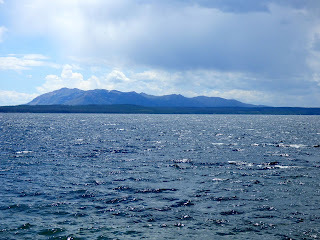 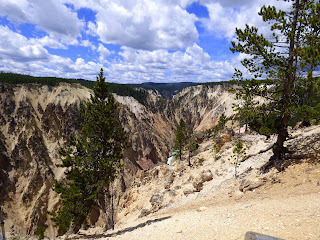 Day 3 of touring Yellowstone,took us back to the Canyon area and down to Lake Village with a stop enroute at Gibbon Falls. 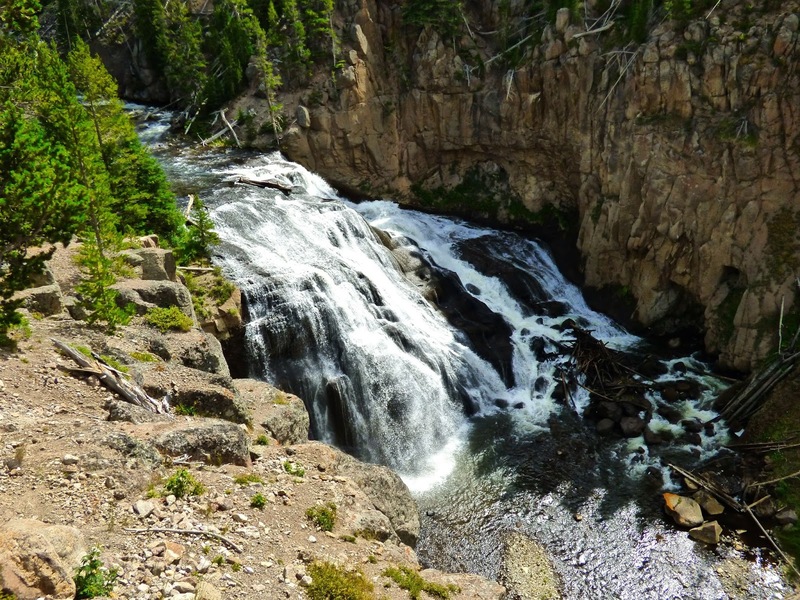 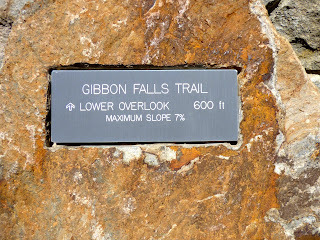 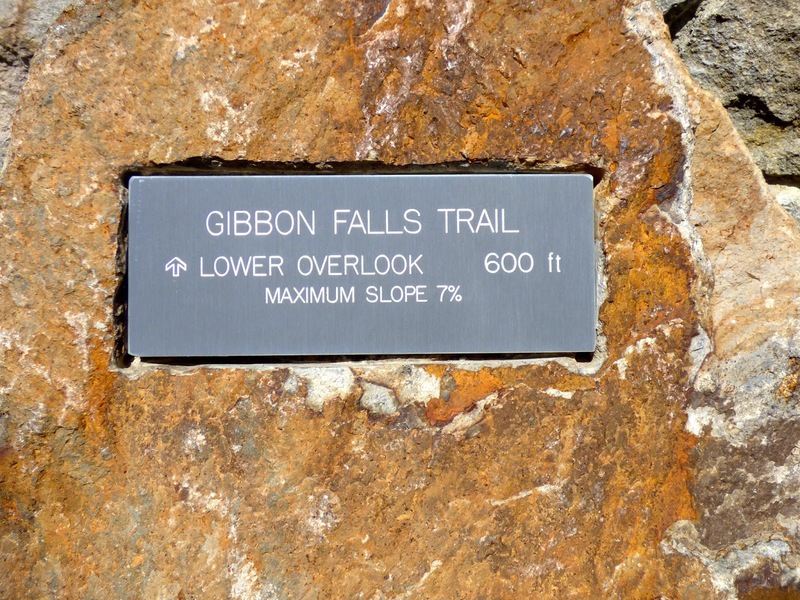 Gibbon Falls has a drop of 84 ft on the Gibbon River located midway between Norris Geyser and Madison. 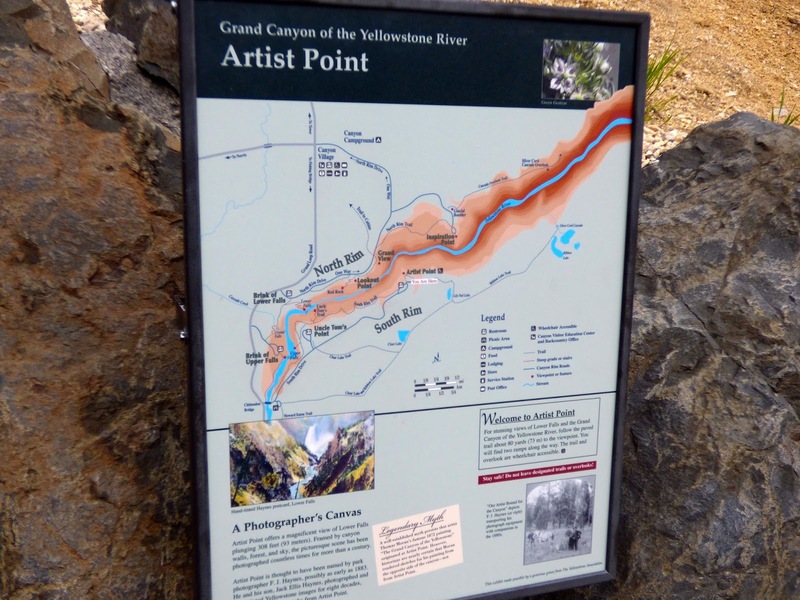 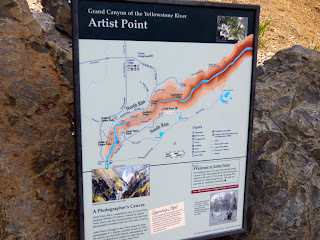 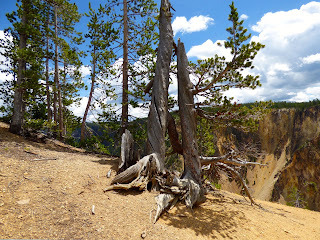 A return trip to the Canyon area took us first to Inspiration Point and then back to Artist's Point. 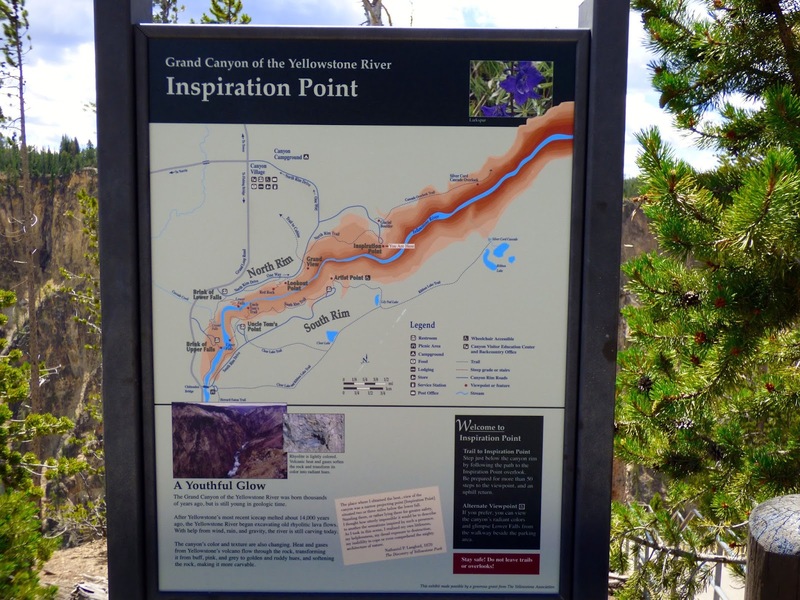 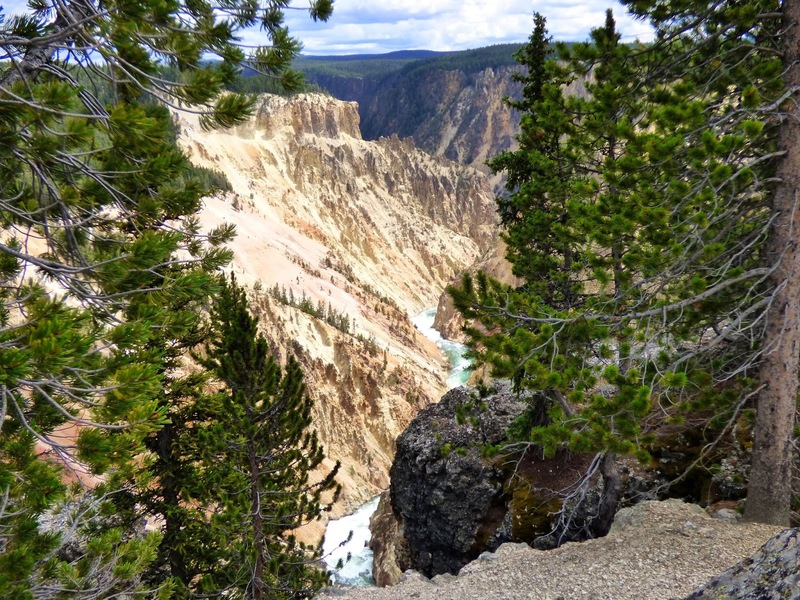 From Inspiration Point you can enjoy views of the Canyon and Lower Falls. 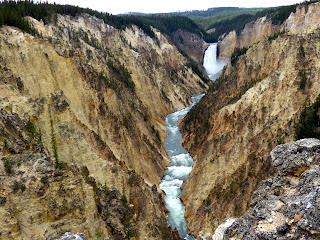 Artist's Point is one of the most photographed views in Yellowstone. The Yellowstone River roars more than 308 ft over Lower Falls. 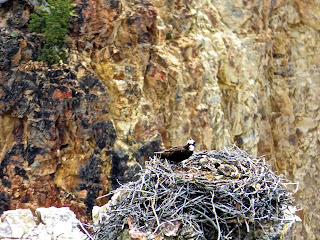 You can view osprey and view the canyon in both directions. 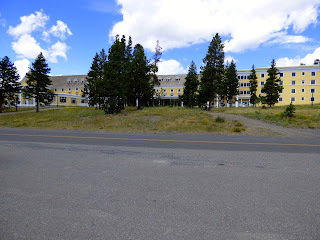 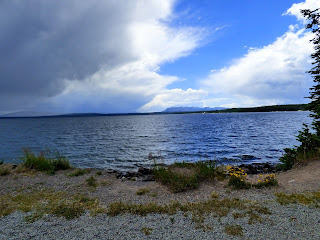 After a picnic lunch by the Yellowstone River, we drove down to Lake Village to get a picture of the Yellowstone Lake Hotel we stayed in during our 1998 visit. 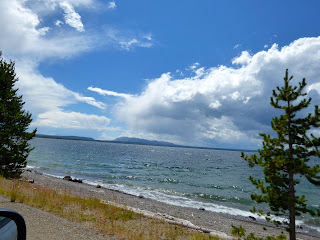 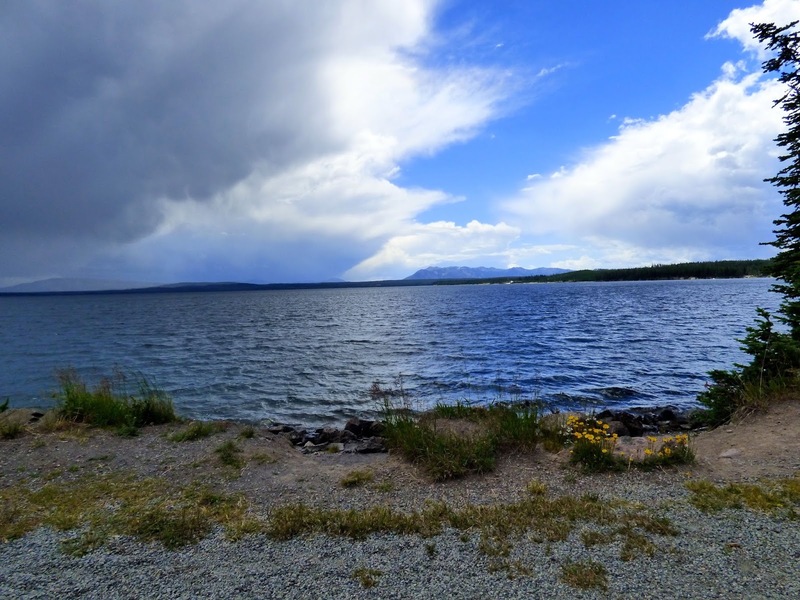 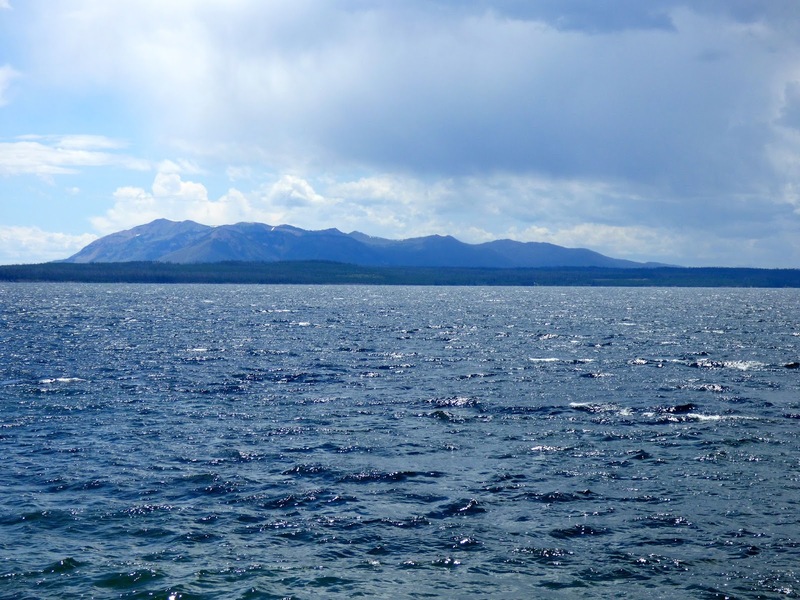 The hotel overlooks Yellowstone Lake and quite frankly prefer this to the Old Faithful Inn. 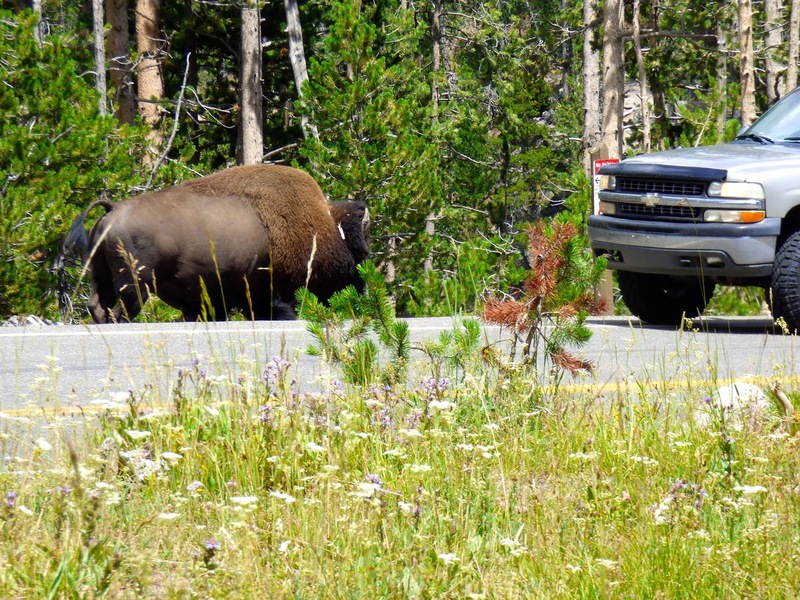 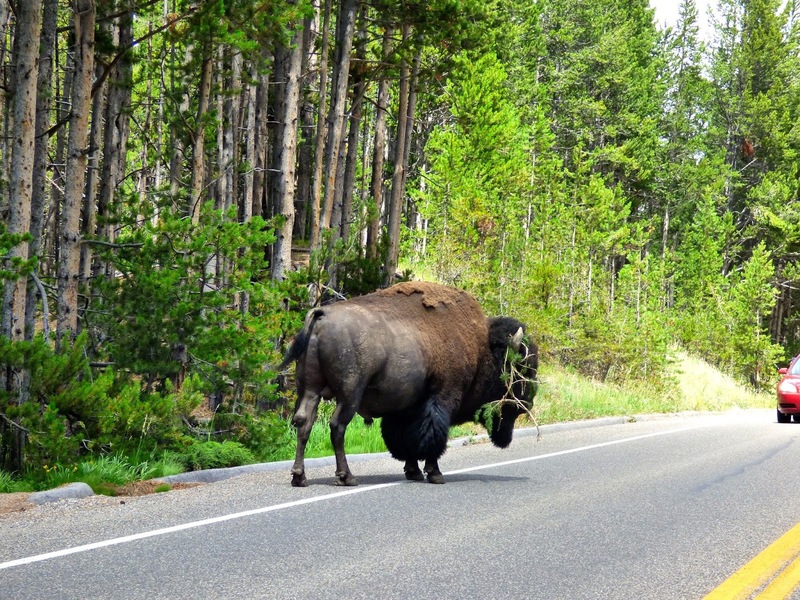 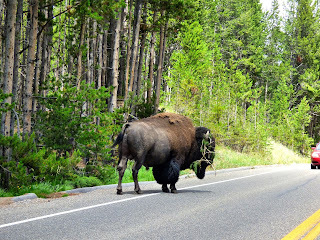 On our way back to Canyon Village we encountered bison meandering down the road causing a huge traffic jam in both directions.One decided to take a detour through a picnic area and the other one seemed to have a branch hanging from his horn. 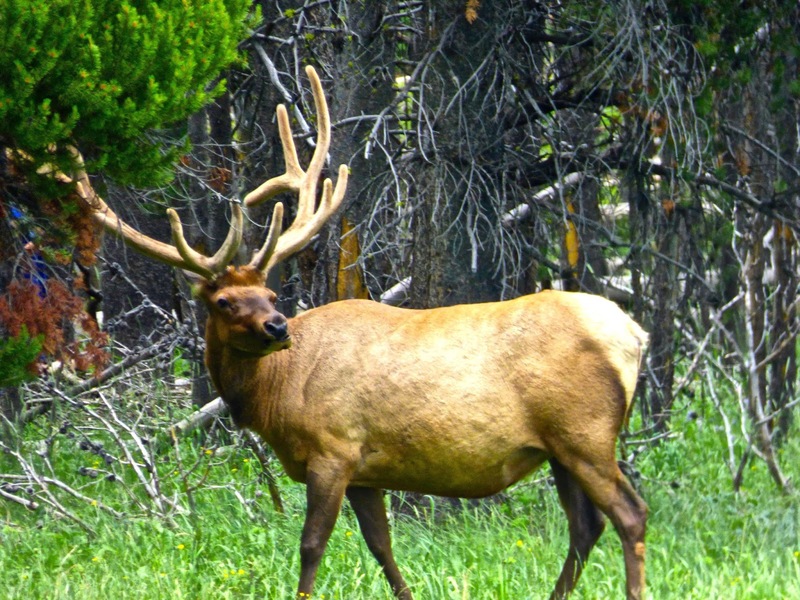 Also on the road from Norris to Madison, another huge traffic jam as tourists were getting photos of a very handsome elk. 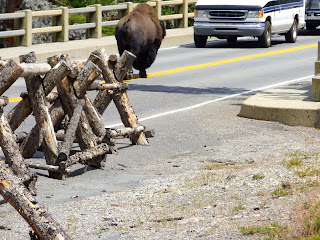 Still hoping to see some bears and moose. It was on the Yellowstone on our 1998 trip that I got so excited about getting a photo of a huge Moose across the river that I fell in. 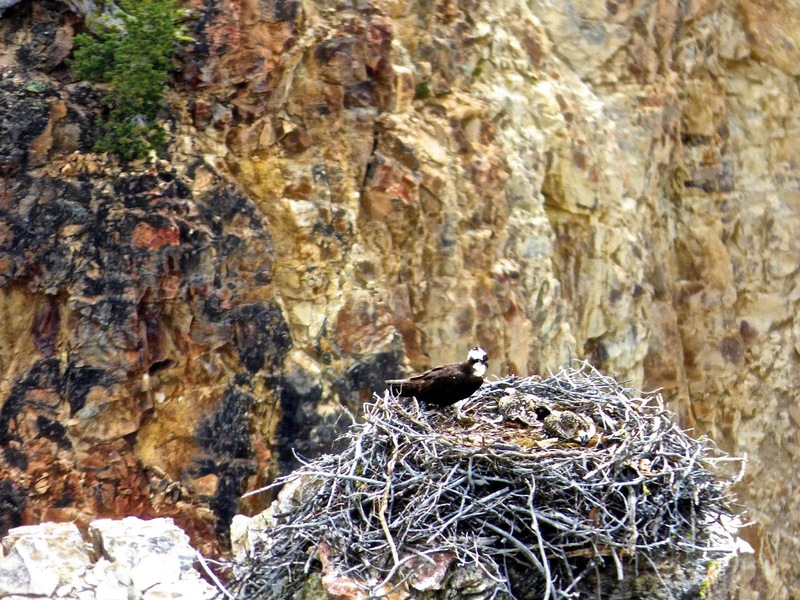 Fortunately I had the presence of mind to throw my camera on the bank. 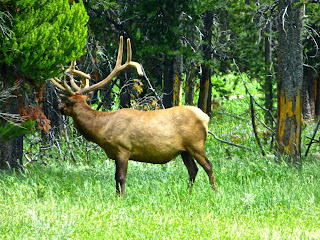 I did get the photo,but I was covered in mud.